Heading to London on a family trip? Here are the best things to do in London with kids. We were lucky enough to live in the British capital for over three years and tested these London family attractions with our own children and visiting friends and family. London is a city with almost endless possibilities so it makes sense to do some planning before you go. In this article we have included our favorite free activities in London for kids as well as costs for tours and attractions. There is also information about getting around and where to stay and the best times to visit these attractions. Many of the attractions we mention are covered by The London Pass so depending on your itinerary you may want to consider this option as a cost effective way of seeing London. One of the great cities of the world, London is one of those places that can really capture a child’s imagination. Before you depart, build some excitement by reading books and watching movies set in London. When you get there, kids love spotting all the places they read about or saw on film. London’s iconic buildings, squares and spaces are a great place to start your family London adventure. There’s nothing more memorable than seeing the Houses of Parliament or Tower of London with the famous red double decker buses and London taxis driving past. Here is our guide to London’s must see places. Also known as the Palace of Westminster, the Houses of Parliament are the seat of government in Britain and one of the most familiar buildings in the world. Sitting on the banks of the river Thames, the imposing building and its famous tower known as ‘Big Ben’ are a must visit site in London – even if you only view it from the outside and take some photos. Afterwards you might like to take afternoon tea by the river beside the House of Lords. Available on most Saturdays and when Parliament is not in session, you need to book early as it is very popular. This is a very special London activity and one of our favorites – you can read about our experience here. The Queen of England’s main London residence, Buckingham Palace is right in the heart of London and another must visit spot on your tour of the city. You can take a tour of state rooms of the palace and see some of the Queen’s carriages, the main dining areas for events of state and of course the throne room. Truth be told I was a little concerned about letting our four year old twins loose on a palace full of priceless treasures but I should not have worried. The palace is well set up for children. There are family friendly audio guides – tour the palace through the eyes of one of the Queen’s corgi dogs. And at the end of the tour there is a play room with royal themed games, crafts and dress ups for kids. They have even come up with activities to do at home or while you are at the palace. You can find those here. As a bonus, if you time your visit right, you may be lucky enough to see the Changing of the Guard – see below for more information. The fortress known as the Tower of London has stood guard over the city for almost 1000 years. Over the centuries it has been used as a royal palace, armoury, prison, treasury, vault for the Crown Jewels and even a zoo! Included in your ticket is a guided tour by the Yeoman Guards, otherwise known as ‘Beefeaters’. These friendly and engaging guides will tell you all about the history and stories of the Tower of London. They are used to having kids along and will keep them entertained. The Tower of London is one of the most popular family attractions in London. To make the most of your day, it is advisable to get there early and pre-book your tickets online. Adult – from £23, Child (5-15) – from £12, 4 and under are free. There are discounts available for families and students. Hyde Park and Kensington Gardens are huge green open spaces in the heart of the city and among the best places to spend some time if you are traveling with kids in London. Together these parks cover 625 acres in central London and a full to the brim with outdoor activities to help your children run off some steam before taking on more historical sites and museums. A brisk walk through these parks uncovers fountains and statues – look out for Peter Pan! Speakers’ Corner – all opinions allowed at this historic place of protest and demonstration. Before social media, people who wanted to demonstrate or protest came here to air their grievances. Serpentine lake – this large man made lake is the place to go boating – you can hire rowing and pedal boats to enjoy the peaceful park atmosphere. Boat hire is available from April until October. Diana Memorial fountain – this beautiful and peaceful space is dedicated to the late princess. It is a favorite spot to splash about in during the summer months . Diana Memorial Playground – one of the best playgrounds in London, this is found in the north west corner of the gardens near to Queensway underground station. Open from 10:00am daily (except Christmas Day) there is a huge pirate ship, water play and nature areas to explore. If you are hungry there is a cafe just outside. Under 12s only. The parks are free to visit and are beautiful at any time of year. Huge fountains and lion statues are features of London’s biggest square, right in the heart of the city. From here you can look down the hill towards Big Ben and the Houses of Parliament. In the middle of the square stands Nelson’s column, dedicated to Britain’s naval hero of the same name who defeated Napoleon’s forces at the battle of Trafalgar. This is a great place to chase pigeons (they are there in abundance despite bans on feeding them). You can also watch street performances or visit the National Gallery or National Portrait Gallery that face the square. Note – these are not our favorite galleries for kids unless they are very interested in art and particularly paintings. More on the best museums for kids in London below. Leicester Square is a small shady square in the heart of London’s theatre district, close to Covent Garden. In the middle of the square there is a statue of William Shakespeare and it is a nice place to stop and relax before doing some shopping or going to a show. Some of London’s best street performers put on their shows in Leicester Square. We love the bubble guys/girls who make huge bubbles for kids to chase. The other main attractions are the flagship Lego store with lego builds of London landmarks and M&Ms world with its huge wall of chocolate. You can visit Leicester Square for free but we can’t guarantee that about your visit to the Lego store! There is no admission charge but lots of temptation. Not all London’s landmarks are historic and you should definitely take a look at some of the modern buildings in the city. Our favourite is The Shard on the south bank of the Thames. This 87-floor glass skyscraper looks like a glass shard soaring over the city. It is home to restaurants, offices and a hotel but the viewing platforms at The View from the Shard are worth visiting. There are two viewing platforms, one indoor and the open-air Skydeck on the 72nd floor. From here you can see 360 degree views of London including the Tower of London site from above. During our last visit we had the opportunity to try a virtual reality simulation of a slide going down the building. All the teenagers having a go were loving it. London is a labyrinth of small streets and winding roads. To truly get a feel for the city you need to see it above ground. The Underground is a very efficient way of getting from point A to point B but you miss the sense of scale and grandeur that you feel when you are at street level, or even better, on one of the famous London buses. Plus what kid could resist sitting right at the front of the top deck of the bus! Take local bus number 15 from Charing Cross/Trafalgar Square. The route take you to the Tower of London wih views of landmarks like St Paul’s Cathedral, Tower Bridge and the Monument (to the Great Fire of London). We are big fans of the hop on and hop off bus when visiting cities with small children particularly. They get you to all the major landmarks and attractions door to door so you can save little legs and energy for enjoying the sights. If you can get seats on the upper levels you have views to match the added commentary. London’s hop on and hop off buses follow several routes throughout the city and can be purchased for 24, 48, or even 72 hours. These days the market for the tours is competitive. This tour package offers three walking tours and a Thames river cruise in the price of the bus tour – >click here for details. The Thames itself is one of the important landmarks of London. Most of the major attractions are very close to the river so it makes sense to take a trip along it to get a riverside view of the city. If you need a little downtime and a moment to rest weary little legs, this is a relaxing way to do some sightseeing. You can take a cruise boat or the regular London transport river bus from the London Eye The journey by river bus takes only 20 minutes and boats leave regularly every 20 minutes. A one-way ticket on the river bus from the London Eye will take you to the Tower of London or even as far as Greenwich. The Changing of the Guard is a centuries’ old tradition full of pomp and ceremony. Every day at 10:45am The Old Guard (the soldiers currently on duty) form up in front of Buckingham Palace and are relieved by the New Guard which arrives from Wellington Barracks. During the ceremony you will see the immaculately dressed guards marching in precision formation with a brass brand playing traditional and popular songs. It’s a truly wonderful and uniquely London sight. Alternative you can visit Horseguard’s Parade to watch the Queen’s Life Guard change at 11:00 Monday – Saturday and at 10:00 on a Sunday. This parade is more intimate and the guards are mounted on horseback. There are whole websites dedicated to logistics and getting the best spots to watch the parades – the best one is here. Launched in 2000, the London Eye is the world’s largest observation wheel. In a city that has so many ancient buildings and so much history, the modern wheel is now very much an icon of the London skyline. A full rotation of the London Eye takes about half an hour and from it you can see the major landmarks of the city including one of the best views of the Houses of Parliament. Wait times for tickets can be as long as 2 hours in peak periods. We recommend booking fast track tickets so you can climb aboard almost straight away. If you forget, leave an adult in the queue while the other takes the kids to the playground in the Jubilee Gardens close by. It’s an English institution and believe me when I say your kids will not be needing dinner having indulged in afternoon tea. First you start with sandwiches and savory items. They are followed by scones (with jam and cream of course) and finally you finish with cakes. All served with tea – there are always herbal varieties or other beverages for children. Afternoon tea is a treat. It is not a budget travel item I’m afraid. If you feel like that is all a bit much food and indulgence then you could visit the ice cream parlour at Fortnum and Mason on Piccadilly. This is our son’s favorite activity in London. They even do an afternoon tea themed sundae. Yum. Spend half a day wandering around this old part of London and soak up the atmosphere. This is the area famous for cobbled streets, cute laneways and classic London scenes you won’t find anywhere else in the world. The area known as Seven Dials is particularly quaint. Seven streets linking Soho and Covent Garden converge at the Sundial Pillar. Duck into the nearby streets and discover colorful Neal’s Yard. Keep a look out for the row of iconic red phone boxes and the pretty statue of a ballerina near the Royal Opera House. At Covent Garden and Leicester Square there are usually high quality street performers entertaining the crowds. You can grab a bite to eat at one of the many restaurants in the area and do some shopping too. London has one of the most vibrant theater scenes in the world and there are plenty of shows on for kids of all ages. You get a double dose of culture when you see a show in London. Many of the theaters date back centuries and are beautifully ornate. We book tickets for shows online with Love Theatre – an official agent for booking London theatre tickets. Tip – Take advantage of the matinee afternoon performances as they are usually cheaper than the later shows. London is probably the museum capital of the world. There are museums dedicated to almost any subject you could think of as well as some of the great collections ever assembled. These are our favorite museums for kids in London and most of them are free for kids and adults too. We love the London Transport Museum dedicated to the evolution of London transport over the past 200 years. From horse-drawn omni-buses to the latest developments in urban planning, the museum guides you through the past, present and future of transport in London. This is an interactive museum where you can climb aboard buses and underground trains from the past decades as you learn about how transport shaped London into the city we know today. There is even a transport themed play area with dress ups for kids 7 and under. Tip – the gift shop here is a great place to buy quality souvenirs as a memento of your trip. Inside the museum, the Great Hall is a large covered courtyard with a cafe that is a useful refuge when it is raining. The museum is open daily from 10.00–17.30 and until 20.30 on Fridays. Note – the museum is closed on closed 24, 25 and 26 December, 1 January and Good Friday. There is no charge to enter the British Museum and view the main collection however you may need to pay to view special exhibitions and a small donation is encouraged. You may need to line up to pass security checks. You can read our full guide to visiting the museum along with details on all the highlights here. With interactive exhibits and playzones for all ages, the Science Museum is our pick of the best museums to visit in London with kids. The Science Museum covers space travel and medicine, to feats of engineering and computing, in some of the most creative and engaging ways you can imagine. You can see two real space rockets and a moon rock and watch 3D movies about space exploration. Apart from the main exhibits, small children (ages 3-6) enjoy playing in “The Garden” – an interactive experience that helps them learn about construction, water, light and sound. You will need to drag them out of this, it’s a lot of fun. The Wonderlab there are over hands on 50 scientific exhibits to explore including watching real lightning strike and ordering experiments at the chemistry lab. This is such a creative way to get kids excited about science and a museum visit they will be talking about for years to come. Entry to the museum is free however there is a charge to visit the Wonderlab – Adults £10, Children 4-16 £8 – there are discounts for families and students. Children under 3 go free. It is best to prebook your tickets for timed entry online on the Science Museum website. Best known for its famous dinosaur exhibit (including a life size TRex replica that roars!) London’s Natural History Museum is a favorite with children. The museum has many other attractions that will keep the whole family busy for hours including an earthquake simulator, gemstone and diamond room and hands on science centre where you can touch exhibits. Be warned that the TRex is actually a bit scary – well I thought so! The museum is open every day from 10.00-17.50 except 24-26 December when it is closed for Christmas. Admission is free. In a city bursting with galleries, our favorite place for a child friendly art fix is the Tate Modern. This huge space on the southern bank of the Thames was a former power station. These days it is converted into a series of rooms and displays featuring the very best modern art from around the world. From Picasso to Warhol, sculpture, photography and more, there is something for everyone – even bored teenagers – at the Tate Modern. Families are well catered for with family hosts (they wear yellow tshirts), special displays for kids, picnic spots inside and out of the building, plenty of change facilities and places to leave your stroller. Entry to the Tate Modern is free for everyone with a charge for special exhibitions. Under 12s getting into those exhibitions for free. You can read more about their family program here. The Tate Modern is open Sunday to Thursday 10.00 – 18.00 and Friday to Saturday 10.00 – 22.00. There are several cafes and restaurants on site as well as a fantastic gift shop. Let’s face it, London has a reputation when it comes to cold and wet days. If you find yourself at the mercy of mother nature while you are visiting, here are our top activities to keep everyone entertained and happy. Having grown up seeing the sights of London on the internet and tv, many teenagers are fascinated with the city. They probably already have a few ideas of what they want to see and do. London has a thriving street art scene and one of the best places to see the city’s best murals is in the city’s east. Take a street art tour of Shoreditch with a local artist who will point out hundreds of pieces by creators from around the world. We were fascinated by one artist’s use of chewing gum as a medium to produce tiny art work. 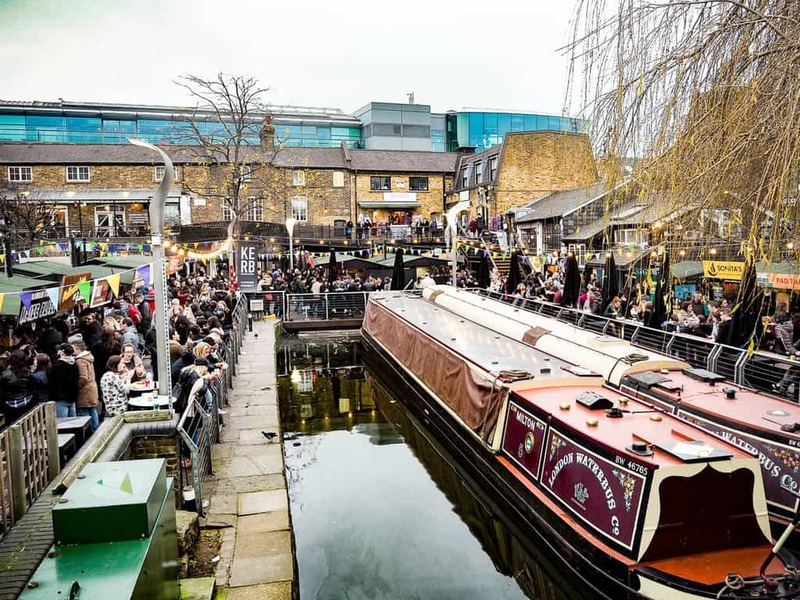 Fashion, music and art collide at this fun market on the banks of the Regents Canal. This was the district of London where punk thrived and its legacy remains. You can easily spend half a day checking out the market stalls and shops full of independent fashion, street food and fun designs. There are a myriad of quirky experiences too. At Cereal Killer Cafe you can eat your favorite cereals from around the world until 10pm at night. Take the underground to Camden Town and let the adventures begin. The market is open every day from 10:00 til late. If your teens grew up wanting to be sorted into Gryffindor or Hufflepuff, there is no better place to indulge their love of all things Potter than London. In London you can visit many of the sites used as locations for the movies and most of them are free. Annoyingly, Platform 9 3/4 at King’s Cross station is not one of these. You can get your photo taken with a luggage trolley embedded into a brink wall and visit the Harry Potter shop here though. If your teenager loves fashion, and particularly the design and creative side of things, a trip to the V&A- the world’s leading museum of art and design – is in order. Many kids will find this museum a little dull but there are lots of fantastic exhibits for budding fashionistas. The museum’s fashion collection is the largest in the world and features items from five centuries of fashion including rare gowns, accessories and haute couture. The V&A’s main collection is free for all to view however it is worthwhile checking their website for upcoming exhibitions. Their showcase of Alexander McQueen pieces a few years ago is one of the most moving exhibitions I have ever seen anywhere. Y0u can see some of the pieces in the main collection today. Let’s face it, most teenagers want to express themselves through style and fashion. If your teen likes the major international brands like Zara, H&M, Primark and Mango, let them loose on Oxford Street for a few hours with a tight budget. All these brands plus British favorites like Top Shop and Miss Selfridge have their flagship stores along this shopping strip. So there is bound to be several favorite purchases. You can also take a detour down Regent and Bond Streets if you want to browse the designer stores. Sports mad teens might enjoy a tour of some of the biggest and most famous sports stadiums in the world. If you support Arsenal or Chelsea in the English Premier League you can visit their stadiums too. Arsenal offer a 90 minute tour of Emirates stadium that includes entrance to the club museum and you can visit Stamford Bridge home to Chelsea FC on this one hour tour. All tours are approx £20. If your teen has an independent streak when it comes to fashion then take them to Old Spitalfields Market. Featuring independent designers, vintage finds and quirky wares, Spitalfields is slightly more upmarket than grungey Camden. You could spend a lifetime exploring London and only scratch the surface. But if you are there for more than three days we recommend a day trip out of the city. Thanks to great public transport links these places are all great day trips the kids will love. Plus some of these options can be used as bribes for good behaviour – we definitely use this tactic on our trips! Is your muggle family Potter mad? You won’t want to miss the Warner Brothers studio tour where you can step onto the sets of the Harry Potter movies. During there is plenty of time to learn about the special effects and making of the films. There are opportunities to view the original costumes and have your photo taken with Hogwart’s Express and in the Great Hall. You can even ride a broomstick and try butterbeer! Most visitors spend around 3 hours at the studio but if you are a die hard fan plan to spend the day. Harry Potter studios are 20 miles north of London. Catch a train from Euston station to Watford Junction where you can pick up a shuttle bus to the studios. If you would find it easier to travel by coach from central London you can join this tour where you meet a bus at Kings Cross station. Families will get better value from this tour package. Tickets are from £40 for adults (16+) and £31 for children 5-15. Family discounts are available. Windsor Castle is a proper working castle close to London. This is the Queen of England’s main residence apart from Buckingham Palace and where Prince Harry and Meghan Markle were recently married. It is a grand castle with turrets that sits on a hill overlooking the town of Windsor and surrounding countryside and it is well worth a visit if your kids are inspired by knights, queens and kings. Like many of the other historic sites in the UK, there is a free multimedia tour for families and activities for children. Our kids liked the royal dolls house – goodness, it is not so mini! – and walking around the battlements. There is also a small changing of the guard ceremony. Trains to Windsor via Slough depart regularly from Paddington station in London. Tickets cost: £21.20 for adults and £12.70 for 6- 17 year olds. Under 5s are free. The castle is open daily from 10:00 – 16:15 (later in summer) though as it is a working castle sometimes closes at odd times. Check their website before planning your visit. But their favorite activity, as we visited on a sunny day, was the water play Splash Safari and Drench towers. This is an expensive day out so it pays to keep an eye on their website for deals and discounts. You can take the train from London Paddington to Windsor & Eton Central, via Slough or from London Waterloo to Windsor & Eton Riverside in under an hour. From there you take a shuttle bus to Legoland. A royal palace steeped in history with beautiful grounds, a garden maze and an amazing playground make Hampton Court Palace one of the best day trips you can do from London, especially on a sunny day. Explore King Henry VIII’s palace and learn all about his six wives and why some of them met a grisly end. You can visit the state rooms, kitchens, and even see the royal toilet! There are digital guides and missions for older children to complete. Then head to the gardens where you can try and navigate the maze or play in the Magic Garden – a large playground with water play, climbing and much more. The palace is well set up for families. If you have a stroller the attendants will help you move through the palace through secret passages and doorways. Trains leave from Waterloo station every 30 minutes for Hampton Court. The palace is open Monday-Sunday- 10:00-18:00. Ticket prices: adults (18+ years old): £19.20 children (5-15 years old): £9.60 and 0-4: free. A quick one hour train ride from Kings Cross station and you are in the heart of Cambridge. This pretty university city on the river Cam is a perfect place to slow down the pace of your trip to London. In Cambridge you can tour the famous colleges, wander the pretty cobbled streets, visit a traditional pub and of course go punting on the River Cam. Cambridge is a relaxed city with parklands to explore and ducks to feed and one of our favorite day trips from London. Technically Greenwich is in London but there is so much to do that you could easily spend the whole day there. At Greenwich you can visit the Cutty Sark clipper ship, Maritime Museum and step over the meridian line at the Royal Observatory. All the museums are fantastic for kids. The Maritime Museum in particular has interactive play zones catering for different age groups. When you get hungry, visit Greenwich Market where there are food stalls to tempt the pickiest eaters. 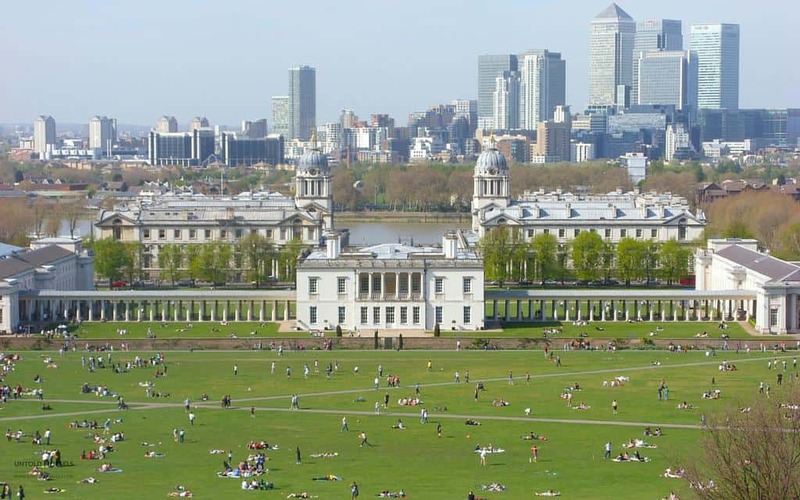 Greenwich is well connected to the City of London via the DLR from Bank to Cutty Sark. The overground train takes around 15 minutes from London Bridge to Greenwich station but you can also take the 35 minute Thames Clipper water bus down the Thames from the London Eye. 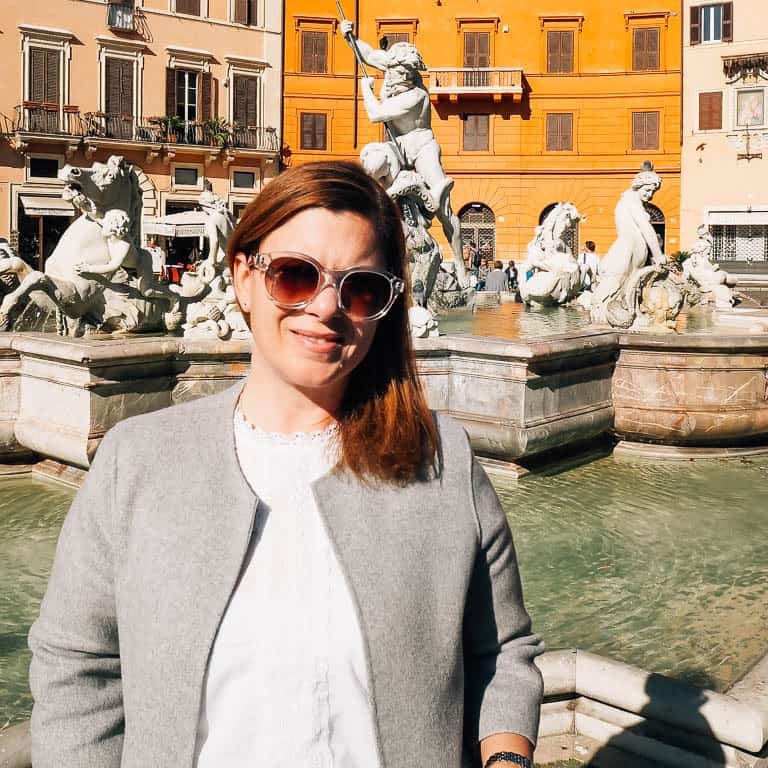 There are some attractions in any city that might be fun or interesting for adults but are on the most boring lists for most kids. London has its fair share of these as well as attractions that are designed for families but which we think are not suitable for children, overrated and/or expensive. St Paul’s Cathedral – Sir Christopher Wren’s beautiful domed cathedral is undoubtedly one of London’s landmark buildings but apart from the initial wow factor of the building, little kids in particular will struggle with this attraction. There are many steps to reach the dome and of course you need to maintain a respectful level of quiet within the church. Westminster Abbey – a beautiful and historic royal church where no less than 30 kings and queens are buried, Westminster Abbey is a place to visit with older children or teens who appreciate history, pomp and ceremony or have an interest in royalty only. Family trips come with some extra logistical challenges. Generally speaking, London is a very family friendly city. You will find change rooms and facilities for families at all the major attractions. Getting around is easy with some forward planning and there are lots of options for eating. Here are some of our best tips for your trip to London. There is never a bad time to take a trip to London. At Hyde Park’s Winter Wonderland that opens in late November you can skate and enjoy the city’s biggest winter festival full of rides, Christmas stalls and Santa. If crowds bother you then avoid the UK school holiday periods and August when families from across the Uk descend on the capital. But the downside is you miss out on all the family friendly summer activities many of the museums and galleries put on for kids. Close to the Underground the hotel has easy links into other major sites in London as well as access to wonderful Green Park for those all important outdoor breaks. St Ermin’s also offer a special afternoon tea for children. The Park City Grand Plaza Kensington is a great value pick for families wanting to stay close to London’s major museums and parks. With excellent transport links to Leicester Square and Soho, you can access most of the city’s attractions easily. Our pick if you are traveling with teenagers or a baby. This is not the area or hotel for a long stay with toddlers or younger children as there are no parks and playgrounds close by. Public transport in London is fast, easy and cheap for families. You can get to most places in central London within 30 minutes. Children under 11 travel free of charge on most London transport methods – the main exception is the river bus service. Adults will need to buy an Oyster card each at any of the Underground Stations. This is a rechargeable travel card that allows you to ride on London Underground, buses, and other transport services across the city. For route maps and information visit Transport for London. Plan your journey before you go. We use the Citymapper app. It even tells you where to stand on the platform and which carriage to get on. Only a few Underground stations have lifts so this can be tricky with strollers and very small children. For that reason if I was on my own I would prefer to use the bus. There are always larger gates at stations where you can usher kids (and luggage) through safely without getting squashed. London taxis are a great option if you have tired kids. You can pile 6 people plus a stroller (without collapsing it) into these amazing vehicles. We used them often with our twins when we couldn’t face squashing onto the tube or bus. The hop on, hop off bus is probably the best way to get around the city and see things as you go. If you are arriving at Heathrow you can take the Underground or Heathrow Express into central London. Trains depart from all terminals. The Heathrow Express takes around 15 minutes to Paddington station and the Underground about an hour. After a long journey we prefer to get our tired kids and luggage straight to our accommodation without having to navigate the transport system. We use and recommend online booking service Blacklane for airport transfers – prices start at around £75 depending on size of vehicle. You can also take a taxi (black cab) from the ranks outside – cost – around £60 depending on time and traffic. Gatwick airport to the south is serviced by the Gatwick Express into Victoria and main line trains into London Bridge. It is harder to find a taxi here so we recommend booking a transfer with Blacklane. You can read our full guide on where to eat good value meals in London here. The main things to consider are: the weather, how much you will be walking (a lot!) and whether you will check your luggage. The whole family needs comfortable shoes and a packable rain jacket for your trip to London. Even if you use public transport you will find yourself walking long distances every day. Check the weather forecast a week before your trip to see what is in store. Even if it is sunny don’t forget a sturdy umbrella! The winds can change at any moment.. just ask Mary Poppins! Lastly, don’t forget a travel adapter for your tech and other appliances. Have a wonderful family trip to London! We hope you have as much fun as we had exploring one of the world’s greatest cities.